How to Build a Powerful Customer Service Knowledge Base? What image does your mind conjure when you think about customer service? A support agent hammering away on his keyboard trying to close all tickets? Or a phone support? Or perhaps an operator waiting behind a live chat software application, neatly tucked away in some corner of a website? Well, personalized customer support is the bread and butter of any customer facing business. And it’s super important for any company that wants to be on the distinguished road to customer support greatness. But to be truly successful, there is more to customer service than meets the eye. Sometimes, self-help is the best help. Most modern businesses have realized that there are times when the best solution is the one that allows your customers to help themselves - by providing them with access to immediate knowledge without the need for a personalized assistance. Something that can be easily achieved with a knowledge base. However, creating a powerful customer service knowledge base can turn out to be a daunting task. It often takes a whole lot of time and effort to create, manage and maintain a customer friendly knowledge base over time. The other challenge for companies is to ensure active collaboration between different teams to write professional articles for the knowledge base while maintaining a consistent tone and design. Creating a customer-centric knowledge base requires careful planning, and in this article, we are going to talk about some of the best practices to help you build one. But before that, let’s take a look at some figures that clearly prove that a powerful knowledge base plays a crucial role when it comes to customer satisfaction. 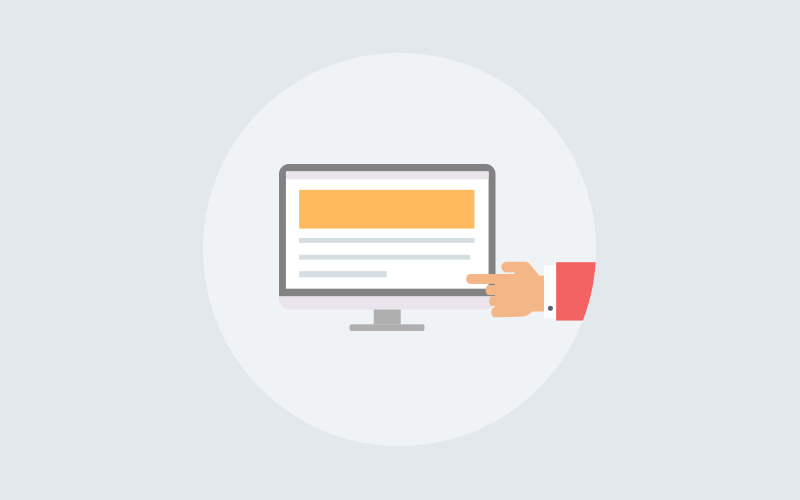 65% of customers want their issues resolved in the first contact. 62% of customers believe that having knowledgeable employees is among the most important aspects that a company should have in order to provide good customer service. 50% of consumers give any brand just 1 week to respond to a query before they stop doing business with them and move on to a competitor. 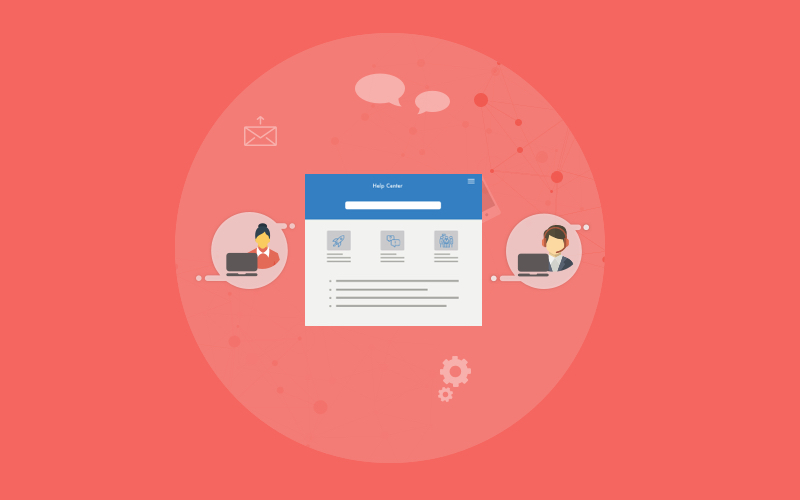 And, to complement all your regular customer service channels, you need to implement a customer service knowledge base if you hope to deliver a timely and high-quality service to your users. A knowledge base isn’t for end users alone. Armed with an intuitive and search friendly knowledge base, your customer support teams are able to locate accurate and up to date information in a matter of minutes and are able to respond to customers faster. Better employee efficiency: Implementing a powerful knowledge base program with easy access to FAQs and articles on commonly faced difficulties, allows employees to improve their personal knowledge, getting more efficient over time. Better and consistent support: Knowledge bases are living documents that are improved over time. As the quality of a knowledge base improves, so does the support quality and information available across multiple support channels. Improved customer trust and loyalty: Providing timely, relevant, and consistent information across all support channels helps build trust and loyalty among customers. Reduced resources and expenses: A well designed knowledge base allows customers to resolve their issues on their own, using self-service methods, which in turn leads to lesser support tickets, calls and emails. A common FAQ section: Most products or services have some basic questions associated with them and the FAQ section is where most customers look at when they visit a knowledge base for the first time. Save your customers the trouble of hunting for one and just give it to them! A search option: Not all questions can be answered in the FAQ section, no matter how well designed it might be. If there is information on some topic tucked away in some remote corner of your knowledge base, let there be a way to find it: via a search bar. A lot of people visit knowledge bases to look for some very specific information. Once again—make it convenient for them to search for it. A support option: Your knowledge base may be amazing, but it’s no replacement for personalized support. For situations where the almighty knowledge base doesn’t “cut it”, you need to have a support option available on the very article where the customer decides to reach out to support. Apart from these basic elements, your company’s knowledge base can be everything you need it to be. Need a dedicated section for video tutorials? No problem. Want to have a “most-viewed articles” section based on the ones that are most visited? Go for it. What’s important is that you get the basic structure and format of your knowledge base figured out well in advance of creating it. How do you decide which topics are most important? How do you figure out what problems your customers face most often? How do you get your teams to collaborate on the documentation needed? The Basics—this includes every single basic question a total stranger would ask about your product or service. Getting started—in other words, onboarding. This includes all onboarding steps and initial setup process a customer might go through before using your product or service. Once you are done with these, you may want to dig deep and look into your own database of customer support tickets/requests/queries and see what issues most people were faced with. Those can be a part of your FAQ section. Tip: Irrespective of how many topics you end up writing about, make sure you break them down into byte sized chunks of easily digestible information. No one likes to read through a wall of information. Problem or topic—describe the topic clearly or mention the issue that the customer may face. Step by step process—describe in detail, and in a series of steps, the order in which the instructions are to be implemented. Result—what should the customer expect after the steps have been completed properly? All related articles/queries/topics/FAQs and links to relevant pages on the website. Alright, it’s time to create! Ensure the titles are clear and descriptive: The title of a knowledge base article is probably it’s most important attribute, and should contain the most commonly searched keywords. Instead of using overly technical jargon, try to use keywords that clearly explain the content within the article. This will help you ensure that when someone searches for an existing answer, they hit the most relevant article. Use descriptive content: Any article is written with the intention to help your customers and support staff find answers to common problems. To accomplish this, ensure that the content is descriptive enough that users find it useful and actionable. A great practice is to think of every single user as a complete newbie: someone who has never used your product or service before. This will help you make your articles as descriptive and to-the-point as possible. Also, try making the knowledge base articles easily searchable by incorporating enough keywords (including the ones that your users frequently search for. A good knowledge base with internal site search analytics integration can help you with this). Check your grammar and spellings: Once you have written an article for the knowledge base, make sure to proofread it while checking for grammar and spellings. Not only do bad spellings turn off users, they may even make your articles hard to find. This is especially true when it comes to implementing keywords and tags. For example, when searching for the article “How to login to the CRM dashboard?” you my end up with no results if the article was incorrectly spelled as “How to login to a CMR solution”. Use screenshots and video: A picture is worth a thousand words, and a video shows a thousand pictures. You get the picture (no pun intended). Having your knowledge base article be descriptive may not be enough. Sometimes you need to provide additional assistance to help solve a problem. This where screenshots (or pictures of the product), and videos can be of immense help. When including screenshots, make sure that the images you are using are all up to date. Attaching an outdated screenshot or a video can end up confusing the users. Link to helpful resources: For even better and complete support, try linking your knowledge base articles to other helpful resources available on your website, or elsewhere. Whether that means linking to an FAQs section or a video tutorial section, it’s up to you. The idea is to make your articles as complete as possible, and ensuring that your readers are able to find related content to help them figure out any potential issues they might face. Easy to read formatting: This goes without saying. There’s nothing more frustrating than landing on an article with poor formatting and large blocks of text, while trying to resolve an issue. Easy to read formatting can make finding answers to questions a breeze. Try to incorporate small paragraphs, with bullet points where possible, and other elements like bold and italicized text for important sections to make your article easier to read. Just as with all other things in business, the success, or lack thereof, of your knowledge base should be constantly monitored and analyzed to derive if its serving the purpose. What parts of your company’s knowledge base have been most frequently accessed? Have those articles been engaging (average time spent on the article)? This will help you identify areas that may need improvement. And finally—a good knowledge base is one that’s never done. If you don’t take the time and make efforts to constantly update it, the knowledge base can become obsolete and rendered useless quickly. You should plan for frequent audits of the knowledge base to make sure everything is updated and accurate. 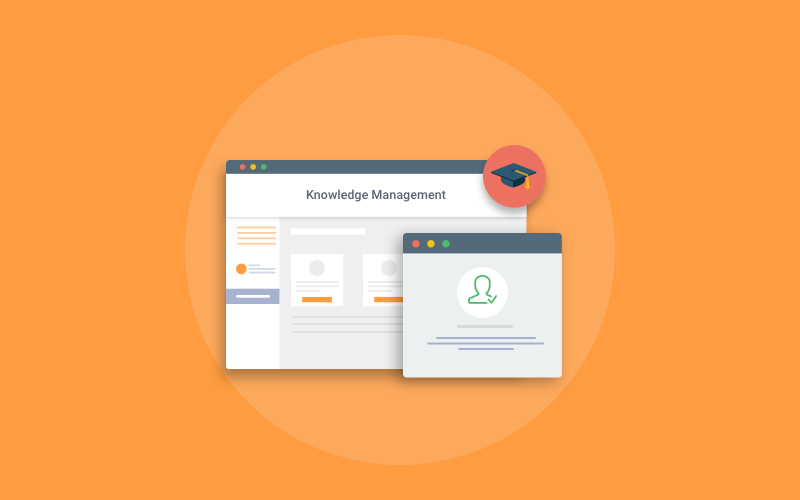 Next What is Knowledge Management Software?